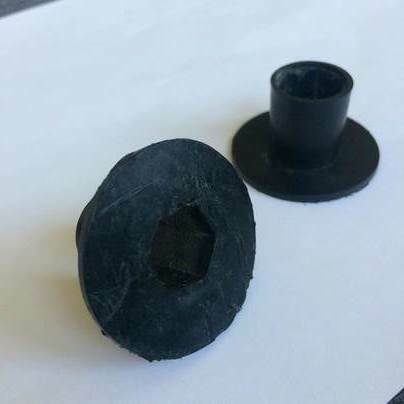 I have been seeing a black plastic part on the nuts of the wheels. My bike also has this. 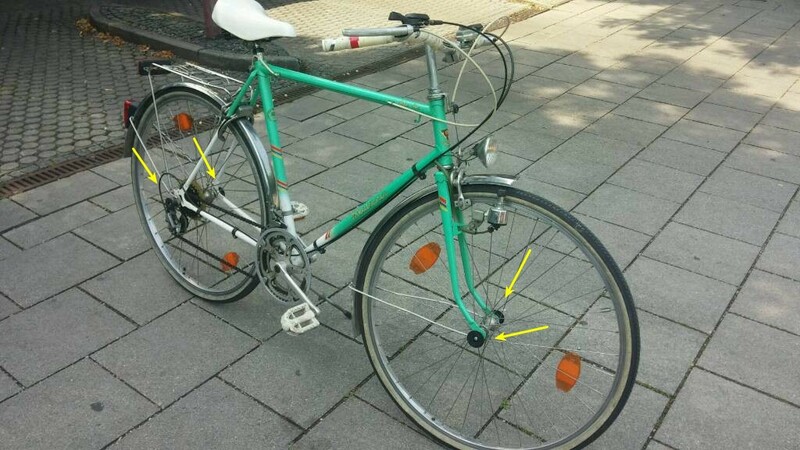 I think I have seen this only on old bikes. Does it have a name and purpose? Those look like packing pieces used to stop the axle ends from punching through the cardboard box partially assembled bikes are delivered in. I'd imaging they are being used to stop the axle nuts getting scuffed or scratched. The flattened black plastic disks are packing covers as the other answer attests. You see these on low-end bikes in a box because ... well.. they come flatpacked in a box. But some bikes come with decorative nut covers — especially for through-hole, bolted axles. This helps hide the exposed bolt and makes it less likely you’ll scrape your leg against the exposed threads. I see this on ”mom bikes” in Japan where there are hardly any quick releases. Why have 29-ers arisen only recently? 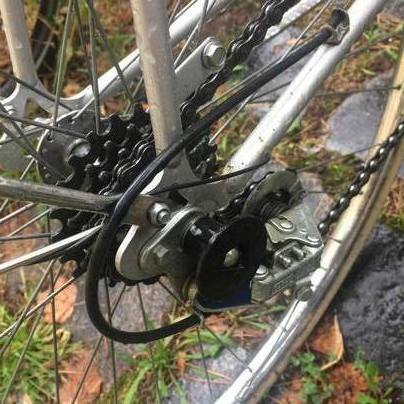 Is the plastic piece between the seven gear sprocket and the spokes hard to replace, and how?